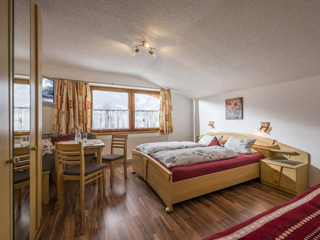 Our family-friendly Auerhof is ideally located, set on a peaceful hill just a 15-minute walk from the centre of Walchsee, close to cross-country skiing trails, lifts, the fun park and the lake. 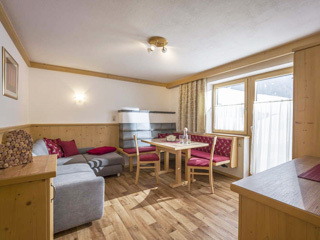 Spend your holiday in paradise, staying in one of five comfortable apartments in a prime, sunny location with WLAN and a balcony or terrace, not to mention spectacular views of the majestic Kaiser Mountains (Kaiser meaning Emperor in English), at the foot of the superb “Zahmer Kaiser” skiing and hiking area. There’s no better place to relax and enjoy the calmness and unspoiled nature than in our spacious and sunny garden, which has areas for barbecuing and a play area for youngsters. In summer, we are always happy to accompany guests to our rustic mountain inn. 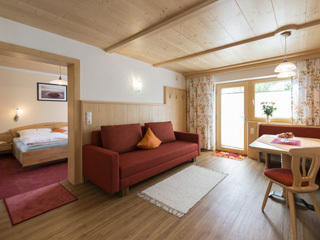 In winter, guests enjoy spending cosy evenings together in our Tyrolean guest lounge. 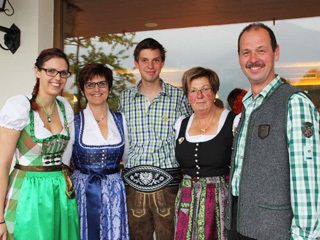 We invite you to enjoy the holiday of your dreams at the Auerhof farm! 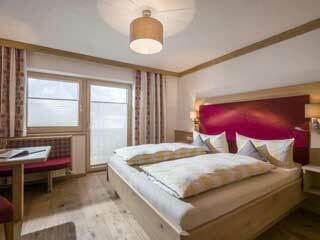 Are you looking for the ideal resort to spend your winter holiday in Tyrol? 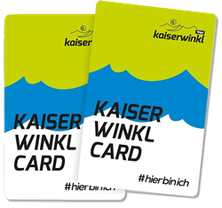 The Kaiserwinkl region not only has the nearby ski resorts of Zahmer Kaiser and Hochkössen, but also offers many other activities, sports, relaxation and fun to keep the whole family entertained. 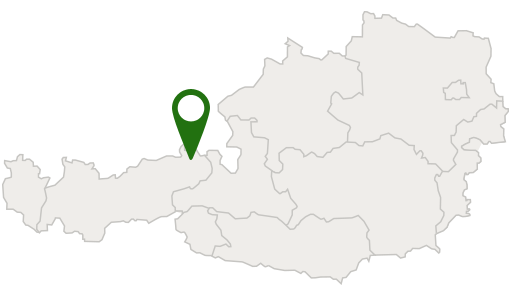 Enjoy gorgeous summer days in the picturesque Kaiserwinkl region. The combination of water and mountains provides the ideal backdrop for your dream holiday. The warmest lake in Tyrol, Lake Walchsee, with its excellent water quality, is ideal for swimming, sailing and surfing.